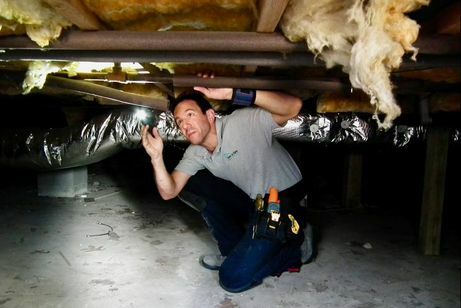 His inquisitive nature, attention to detail, and overall knowledge make him an excellent choice as your home inspector. He likes to get his hands dirty when inspecting homes, yet he's polished & professional when working with clients. Mike made me feel like I was family. You can tell he genuinely cares about his clients and wants to make things as easy as possible. He is very knowledgable and great at explaining any potential issues. We were impressed with the level of professionalism and overall knowledge Mike showed us during the inspection. He put our mind to ease on some concerns we had, but also pointed out some problems we had the owners address before close. Mike was so incredibly helpful, I would recommend him to anyone. Even months later, I contacted him with questions about the best way to address a problem he identified during the inspection and he was happy to help. A+ service!